The Boston Globe did a wonderful story about my project to bring chickens to a nursing home as therapy animals. HenCam has been mentioned in articles in Hobby Farm Magazine and Backyard Poultry Magazine, and featured in Chickens Magazine. I’ve been in local papers like the Lexington Journal and the Carlisle Mosquito and also in national media such as Southeast Texas, Live! Susan Orlean, staff writer for The New Yorker, mentions the HenCam in an article about chickens titled “The It Bird” (September 28, 2009). My books have been reviewed in many papers, including Publisher’s Weekly, The Washington Post, The Wall Street Journal, The Boston Globe and Los Angeles Times. My love of pie baking has been featured in Women’s Day Magazine. My blog writing was honored when HenBlog won the Country Living Magazine Reader’s Choice Blue Ribbon Blog Award. I was featured on CBS Sunday Morning talking about eggs (November 2016). You can watch the video here. 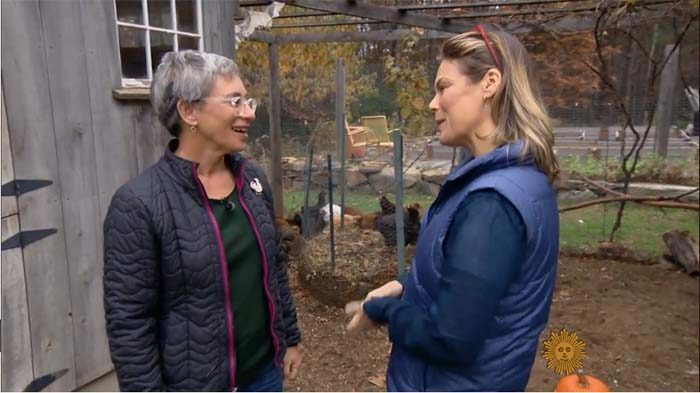 Chronicle, a newsmagazine series on WCVB in Boston, did a story about our nursing home hens (November 2014). You can watch that video here. 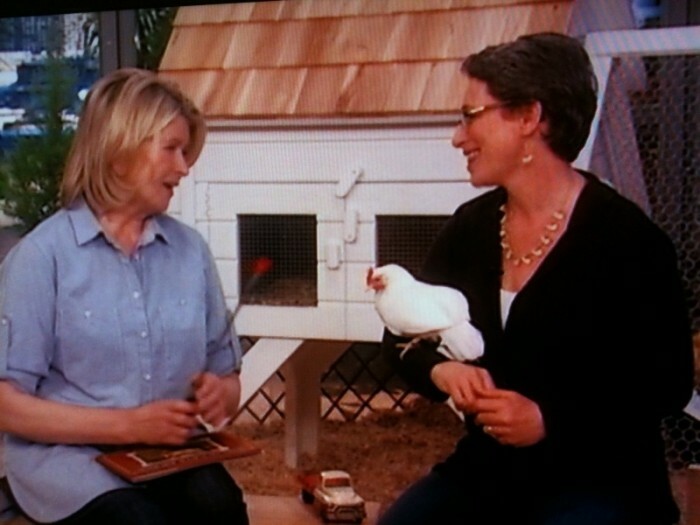 In April, 2010, Coco and I appeared on MARTHA – Martha Stewart’s television show. Martha devoted an entire hour to backyard chickens. A clip from the HenCam was aired, Tillie Lays an Egg was looked at, and I told Martha how I train my chickens to pose for the camera. I have also appeared on Vicki Croke’s NECN show The Secret Life of Animals, and on local television shows.